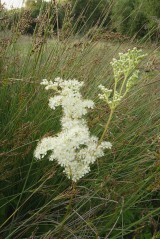 A sweet smelling plant of wet meadows, hence its common name. A tall perennial with a froth of creamy white flowers, present throughout June to September, and pinnate leaves green above and silvery white below. A tall perennial herb of damp or wet habitats, on moderately fertile, neutral or calcareous soil. It is, however, absent from sites that are constantly waterlogged and prefers those areas where water levels fluctuate. Around ponds and lakes it is found in the transition from wet to dry soils. 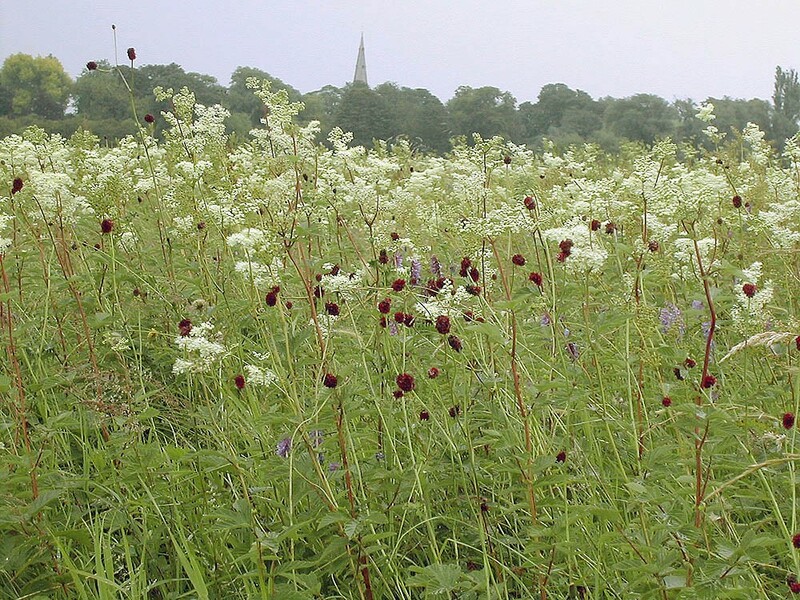 Habitats include wet woodlands, damp meadows, tall-herb fens, ditches and ponds. It grows rapidly in the spring reaching full height in July. 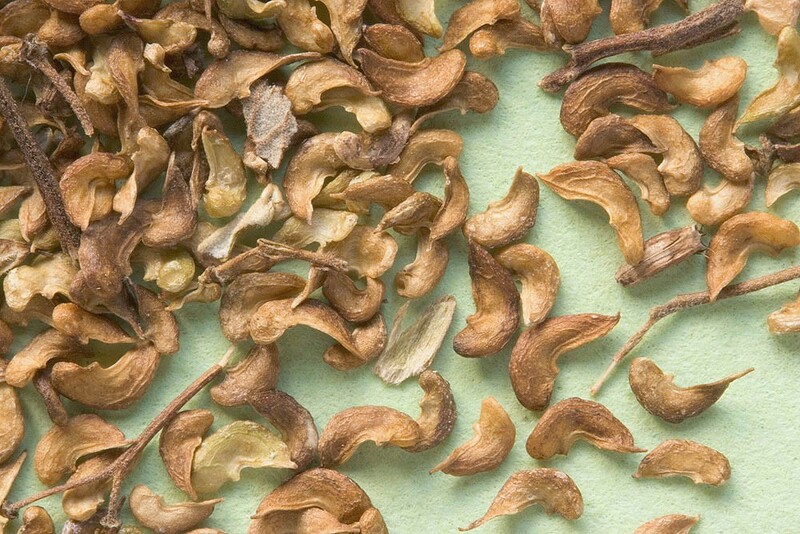 In open sites large quantities of seed are produced. Seeds can float for several weeks and are an important means of colonising water systems. In shadier or more established areas regeneration and spread happens by means of creeping rhizomes. The flower heads of Meadowsweet are rich in salicylic acid, the chemical which lead to the discovery of acetylsalicylic acid, more commonly known as Aspirin. In fact the name Aspirin derived from the old Latin name of Meadowsweet Spiraea ulmaria. A spring germinating plant best sown in the autumn.